As a kid, I loved Bud Spencer and Terence Hill movies, especially the Trinity series. Still, even then, the speech always felt stilted and weird. It was only years later that I discovered that it was all in Italian and dubbed in English. Like learning Santa ain’t real. So what has this got to do with the Trinity Desktop Environment (TDE)? Well, everything. The sense of disillusionment that happened when KDE 4.X came out, the attempt to revive a classic in an age that prefers a different kind of experience. Yup, it’s a remake of the old and trusted KDE 3.X framework, and it fits into this world like the separate audio track in aforementioned movies. Which does not mean it’s bad. So we are continuing the tradition of testing various desktop environments, and today, our candidate is TDE. Part of my exploration was trying to figure out how simple or trivial it is to obtain TDE on modern systems. As you probably remember, I did test Trinity almost three years back. Now, we need to see if anything has changed, and whether Trinity has weathered the passage of time as well as the solutions it came to replace. First, I tried installing the desktop environment using the official and unofficial repositories in a variety of distributions, without any success. Every single time, the installation failed due to unresolved dependencies and missing packages. Eventually, I downloaded a live image and booted from a USB. I chose the Fedora 20 version, just for kicks. The distro booted just fine into a very blue desktop. You are greeted by a simple wizard that lets you do some basic look & feel customization, including window decorations and mouse actions. I opted for a double-click behavior and the Plastik bling-bling for my programs. TDE looks rather ok, except the icons, which feel somewhat outdated. But my biggest qualm at this point was the lack of a network management utility. There was no easy graphical way of configuring the Wireless connectivity. Burrowing into the command line, it turned out there was no problem with the hardware detection. Both the wired and Wireless interfaces were there, waiting to be initialized. I did play with iwconfig and wpa_supplicant, but after a while, I simply gave up. Compare this to the experience three years ago, the Wireless setup was long, with a bunch of wizard steps, but at least it worked. Not this time around. Assuming you had more luck with the network setup, you might want to start playing with the desktop environment. The hub of your tweaking activity will be the classic Control Center, which comes with an abundance of setup options. Today, this kind of solution falls short of what you can achieve in the KDE4 family, especially since it takes more steps and expertise to master. The Trinity one, I mean. Figuring out other details was slightly frustrating. I may have been away from KDE 3.5 for a long while, but I found the overall flow somewhat unnatural. If you want to install new themes, you can either drag & drop a package into the window, or paste the URL from where it will be retrieved. 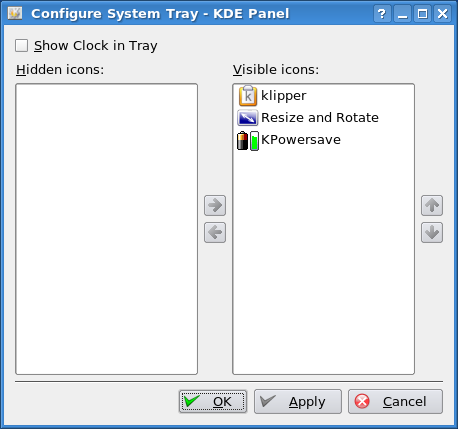 KDE 4 lets you manage that automatically from within its GUI, and you can even sort themes based on rating, popularity and such. Now, if you do not have a network connectivity, then you will see all kinds of weird errors on your screen, which can further abrade your fun. Now, not all is bad. The simplistic design is superior to most modern, semi-transparent pseudo-decorations. 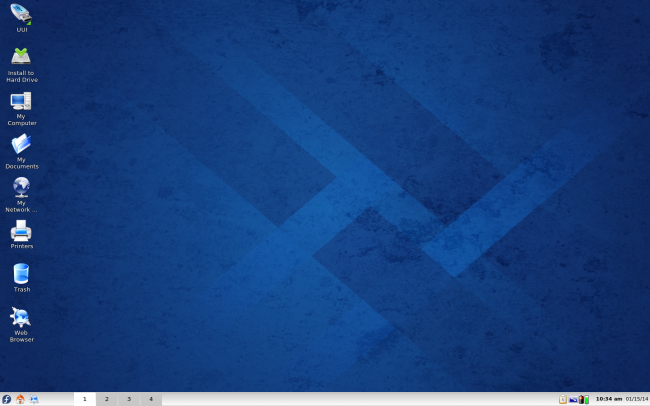 In fact, recently, there’s been a great revival of flat themes, and nothing is more flat than KDE 3.5. Crisp and crystal clear, with great fonts, and a very pleasing overall aesthetics effect. Managing the desktop wavers between point-and-click and difficult. For instance, if you want to setup your display, most new systems and their environments will lead you into its monitor/display sub-menu, where you can tweak the settings. With TDE, you can just fire up the krandr and make changes on the fly. Some might claim this adds complexity or clutter, but it is very convenient and quick to use. The same goes for sorting out the system tray to display what you want. A culmination of roughly thirteen years of experience of doing it in a range of Windows releases, and then some. The best part of the TDE is definitely its omnipotent browser slash file manager, which was so ahead of its time when it came out, but now feels like a somewhat deprecated idea. Still, it has its uses, and bears well with the modern times. Weirdly, trying to setup your system using Konqueror feels more natural and in line with the more modern desktop environments that using the conventional control center. You also have a much better visibility of the system and its options. As a file manager, Konqueror comes with a lot of features, and it may appear a little overwhelming, especially if you’ve never used it before. But soon, you will find your way around, including browsing local disks and partitions. Some will probably call this a thing of the past, and in a way it is, but you can’t argue with the simple efficiency of the whole thing. While the Wireless configuration failed, I tried configuring some other hardware modules that did not need network connectivity. For example, the web camera. Unfortunately, I was disappointed once again when Trinity failed to detect and configure my little lens embedded above the laptop monitor. Showing an empty GUI window might be pointless, but it does illustrate the frustration and the lack of plug-n-play features in the desktop environment. There were more niggles and glitches during my Trinity testing. Oh, I have another innuendo joke. Trinity testing. Remember the series of nuclear experiments in the 50s and whatnot? They called them Trinity, too. Man. Yes, trying to setup a Zeroconf network connection led to TDE complaining about avahi not being found. My impression of the Trinity Desktop Environment is slightly more positive than it was three years ago, but it is heavily burdened by the inevitable passage of time and the exponential growth of irrelevance. And let us not forget the hardware-related woes. TDE must be a completely simple and smooth framework, otherwise it stands no chance against the competition. This is the prerequisite, even before you start thinking about discussing the pros and cons of its layout, use and whatnot. It must be as trivial as all others. Once that issue is sorted out, we can begin evaluating its usefulness in the modern era. Some aspects remain unbeaten, and if you’re an efficient person, you can probably tweak the TDE to death. For most users, the long string of KDE 4.X releases did finally bring in the balance between performance, stability, beauty, and the ease of use. Nostalgia continues to play part, but even its power is diminished by nothing more than the tick of the calendar, taking you farther and farther away from when KDE 3.5 and its relatives were relevant. I guess there is no magic solution for the TDE. It can probably continue to exist the way it is, which means a niche market, little to no development, little spotlight, and lots of integration problems, because most people have other priorities, including the owners of distributions and their repositories. But maybe, somehow, if there is enough good will, it is possible to make the TDE legitimate and great, alongside KDE 4.X, especially if it can offer lightweight perfection and ease. Now, that’s the real challenge, and for now, I am not certain that the TDE can make it. Please, prove me wrong. Hi, I’m using TDE for few years in Debian Wheezy, and the only problem I got during installation was 3.5.13.2 in Wheezy 64bit, where login manager fell apart. Why TDE? First, I’m always working with files and I’m using programming language as a tool, not a sense of life. So to rename a file in TDE I can click and type name, without writing complex scripts as in other GUIs (especially when I try to rename series of dumps with names based on their content) because developers think that looking for key combination (or 9th-mouse-button menu) is better. 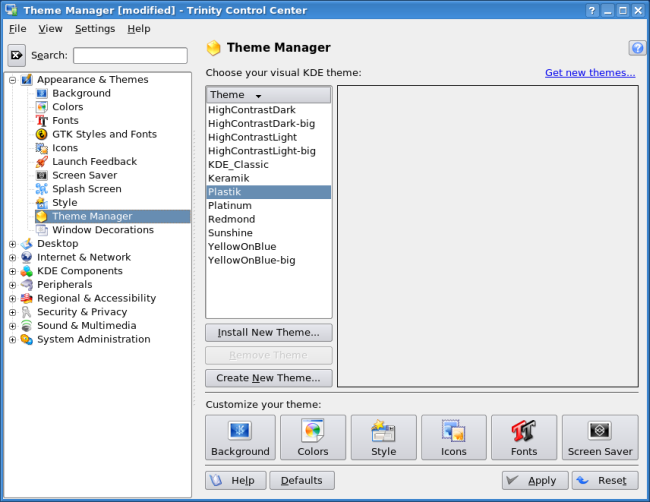 The second thing in TDE which is absent in today’s Linux GUIs (Windows too) is configurability. Not all options in TDE are working as labelled, but there are more options than in newer Linux GUIs and settng them doesn’t require re-building of a whole DE. Small example: I have 12″ subnotebook docked to station with two 1600×1200 displays. At home I work with displays, outside with 1200×800 subnotebook’s LCD only. And I can use one customized UI for both settings with the same ergonomic workflows! Today some GUIs are just targeted for a complete moron and some other for a programmer who uses alphascope by default (if you don’t remember: alphascope – electronic version of teletype, but not “smart terminal” yet). Configurable UIs are gone, giving better sales of different pieces of hardware doing the same thing in different conditions. While working with TDE, especially deeply configring it, you will find errors, many errors. Some TDE apps are not well usable and should be replaced by other solutions, I think KRandTray is one of it (if you have a docking station, don’t use it). But after many tries TDE may be tailored for diferent methods of using an OS. User’s who knows how to look for TDE are usually not new to linux. Use your KDE apps there. It is much much much faster than any of the DEs with the beauty of full KDE apps. This brings back good memories love KDE 3.5! and Trinity. Perhaps I will install it for fun. If you are interested, Sparky Linux (Debian Testing) has an image file with Trinity. When I read the title here, for a moment I thought Dedoimedo was giving Sparky a second chance.